And then there are others – engineers, technicians and inventors – who spent their lives toiling away in the shadows on major projects. This year, Rétromobile was to take a look at the fascinating life of one of these visionaries – a man who had an astonishing career and whose inventions did not see the light of day until long after his death. Even when he was only 10 years old, Victor Bouffort was already extremely inventive. He would spend hours building mechanical systems, which even back then would have been of interest to design firms. Everything that could drive or fly interested him. In 1932, Victor was 20 years old. It was at his parents' home that he designed and built his aeroplane. In 1938, he helped build the Elytroplan – a high-stability aeroplane. During the occupation, Victor Bouffort’s task was to bring supplies to Swiss residents living in France. With every journey he made, he risked his life: he would hide Jewish children in his lorry and then take them to Switzerland, saving them from being deported to concentration camps. The period just after the war was highly productive for Victor Bouffort. At the start of the 1950s, he decided to start designing his own cars. But since tyres were still very rare and extremely expensive, his cars only had three wheels. 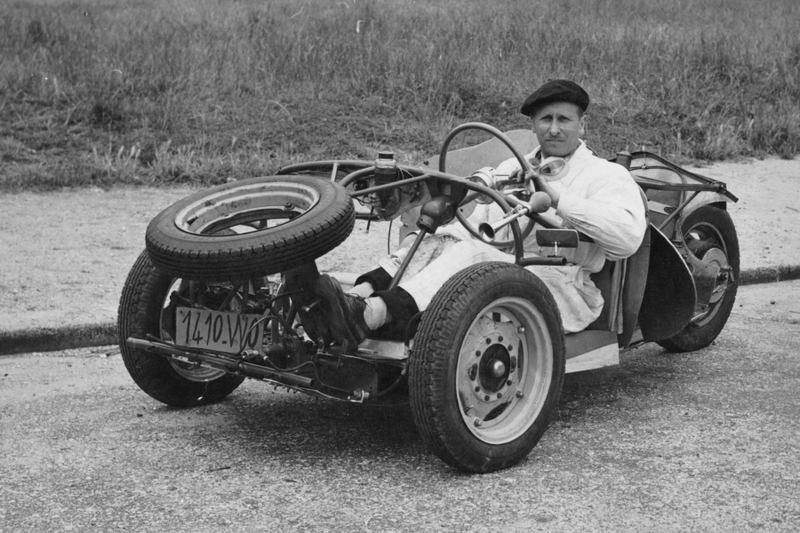 One of his inventions was a three-wheel prototype intended to relaunch production of a small, affordable sports car. It had an aluminium platform, a tubular chassis and a 4 hp Renault front powertrain. The rear transmission system and engine were from a Terrot 500 RGST motorcycle. Test-drives at the Montlhéry racing circuit showed the racing car to be extremely high-performance. There were plans to enter it into the Bol d’Or 24-hour motorcycle endurance race. But sadly, a lack of funding put paid to the project and the little prototype was forgotten. Victor Bouffort didn't stop inventing and creating. He was asked to work on a number of military vehicle projects: at the time, the French army was still using a lot of American equipment left over from the Second World War. He replied to a request from the army to design a small all-terrain vehicle that could be dropped by parachute. Bouffort set about designing the four-wheel-drive Fardier. A simple, light vehicle, it was driven by a small air-cooled two-cylinder Citroen engine. In 1970, Lohr Industrie started building the Fardier – which would later be used by the French army's parachute troops. At around the same time, Victor Bouffort designed a prototype for a small tracked vehicle – the VP 90: a Patrol Vehicle with a maximum speed of 90 km per hour. It was fast and handled easily. Sitting low off the ground at less than a metre high, it was extremely difficult to locate in combat situations. Its design caught the eye of the French Polar Expedition technical bureau. 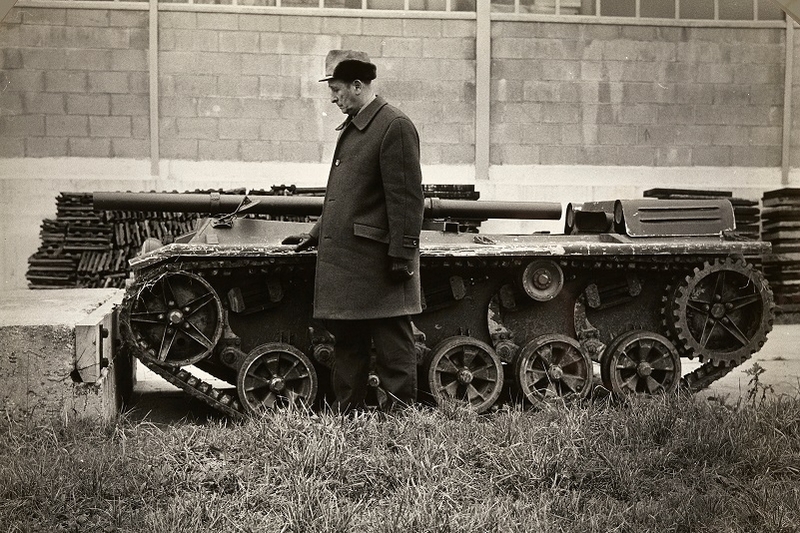 Victor Bouffort developed the HB 40, a tracked vehicle with an isothermal and watertight body which afforded its crew protection against freezing temperatures and snow storms. In the 1960s, Victor Bouffort became interested in the traffic problems facing major towns and cities. He started work on designing several city cars, including the Valmobile – a magic 70 cm long suitcase that could transform into a scooter in only two minutes. No manufacturers were interested in the project when he unveiled it, and ironically, they advised Victor to go and demonstrate it to the Japanese. Which he did! He ended up signing a contract with the Japanese company Hirano which built thousands of Valmobiles. 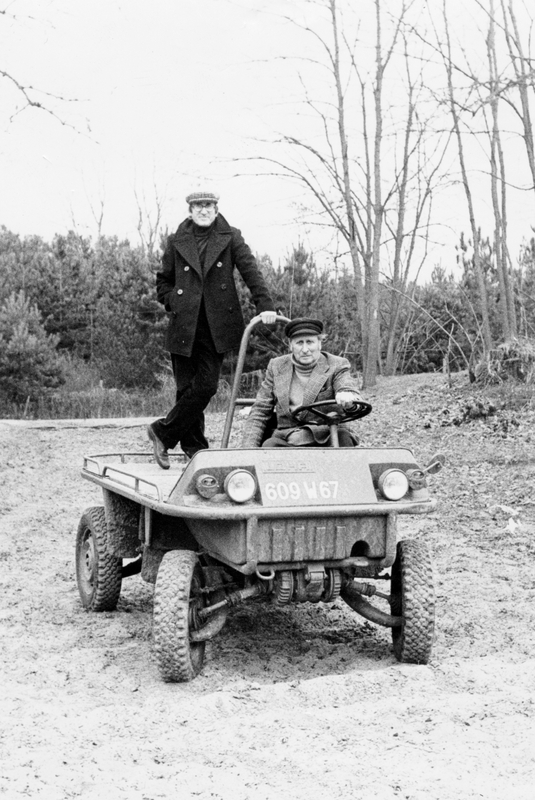 Victor was always working on different projects: he replied to a request from the French army by unveiling an amphibious all-terrain vehicle: The Bison. 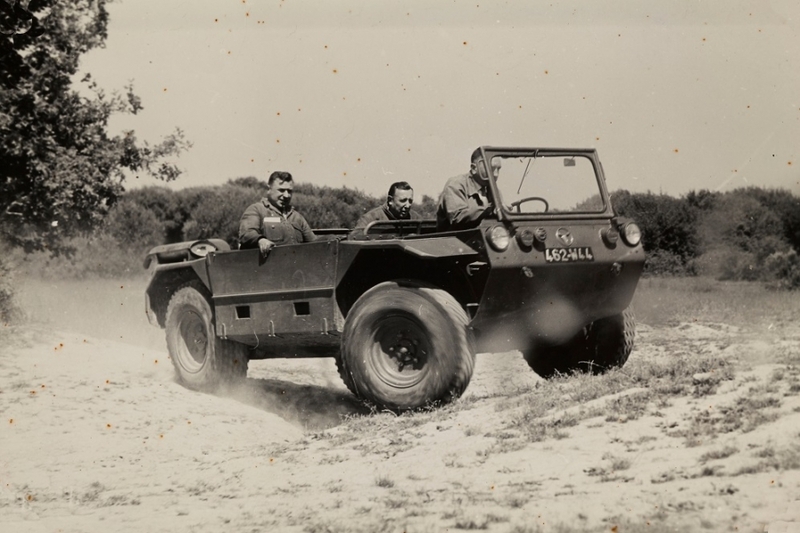 This versatile all-terrain machine had a revolutionary design: with its light, monocoque body, it was parachutable, could seat 7 people and carry loads of up to 1500 kg. The design phase was completed in 1960 with the construction of 5 prototypes which were tested in extreme conditions. The Bison was fast and extremely reliable. With its simple design, it was inexpensive – perfectly meeting the army's specifications. An order for 400 Bisons was submitted, but the manufacturers back then were unable to take up the challenge, and so the Bison remained a prototype. 15 years later, the army acquired machines that were built based on the Bison's design. 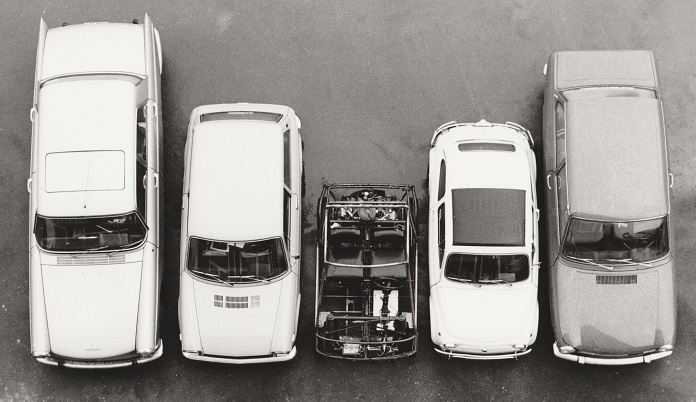 The Minima: Small cars that told great stories. Victor Bouffort was always sensitive to traffic problems. In 1968, alongside his friend Henri Viard, he looked into solutions for making parking and traffic in large towns and cities easier. Henri Viard was a surprising man – a novelist and a humorist. He worked on scripts alongside Michel Audiard. One day, both of them noticed that most cars carried only one or two passengers. Their idea was to design a small car that was “almost” for city dwellers – two-seater vehicles whose length was no more than the width of a more traditional car. These small cars would be fitted with relatively powerful engines so they could drive at more than 100 km an hour. This way, they could travel within a radius of 50 km of major towns and cities and use main roads and motorways. Thus it was that the Minima was born. The small prototype was a two-seater and featured a solid tubular chassis, composite bodywork, sliding doors, space at the rear for small luggage and a 30 hp engine that could drive it at speeds of up to 120 km/h. But there was more to Victor Bouffort’s and Henri Viard’s project than that. There were plans to mass-produce this small car and to make them freely available in special areas in towns and cities where they would be parked opposite pavements. 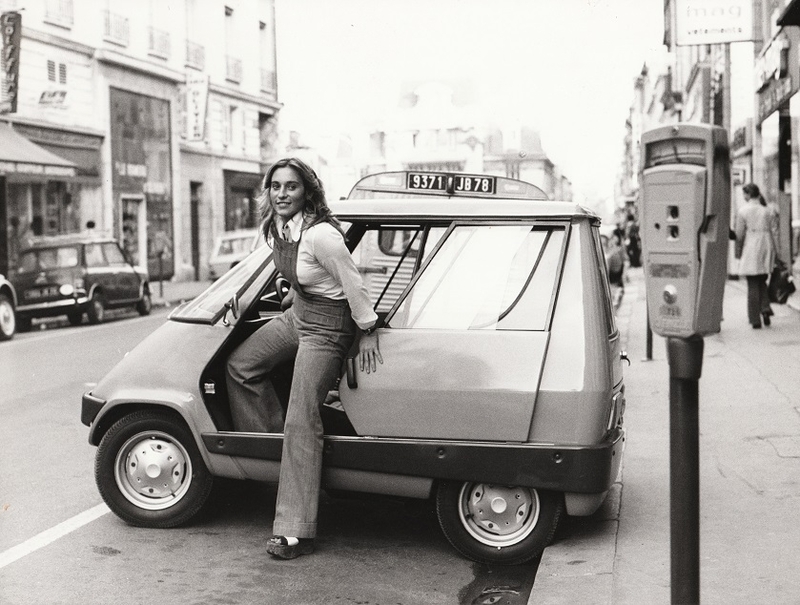 The first Minima was exhibited at the 1973 Motor Show: the tiny car was hoisted up to the 56th floor of the Montparnasse Tower for its official presentation to the press. The idea was fantastic, modern and economical. But unfortunately, the idea of a car for everyone was just a little ahead of its time. The Minima programme was abandoned. Forty years later, the Minima concept and the idea of a freely available car for city dwellers were adopted by a number of major car manufacturers and town planners working on urban transport solutions. 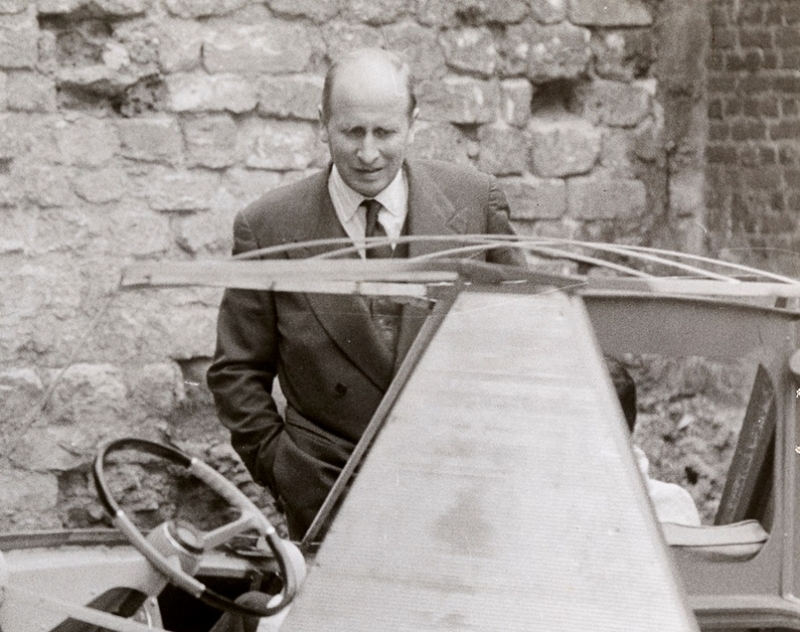 For the 42nd edition of Rétromobile, we took a look back at the epic life of this engineer, presenting the various prototypes that marked some of the key stages of his life: the Minima which had remained within Bouffort’s family, the three-wheel prototype powered by a Terrot 500 engine which was rediscovered a year ago, one of the five Bisons, the VP 90 tracked vehicle which belongs to the Tank Museum and the Valmobile no. 0 which won over Japanese manufacturers.